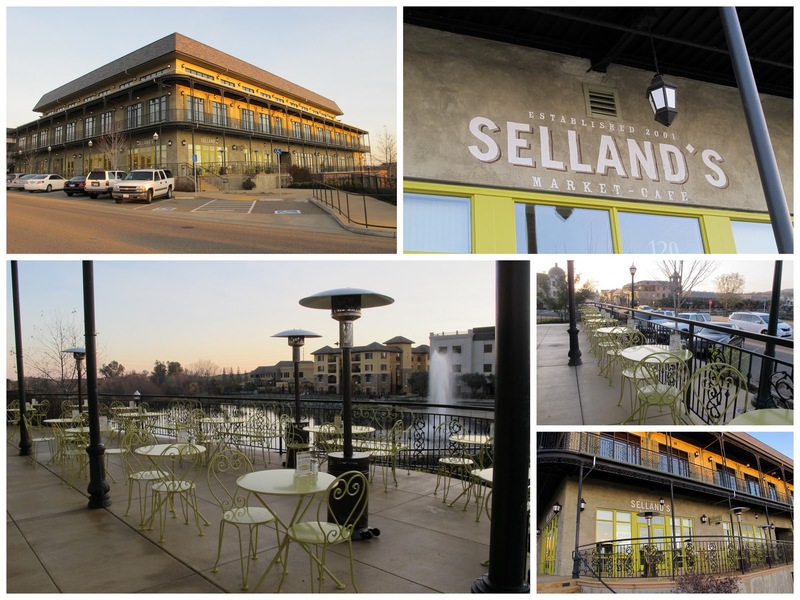 As much as I love the Selland Restaurant's Ella and Kitchen, it may surprise some that I've never eaten at Selland's Market Cafe. Yes, I've been in the East Sacramento location on occasion, but I never bought anything and sat down to eat it. My first meal at a Market Cafe ended up being the brand new location in El Dorado Hills, which opens tomorrow, January 30th. A few years ago I hung out in EDH a lot because my long term boyfriend has a house up there. As often happens when you haven't been somewhere in a while, you notice all the changes. There are new shopping complexes and a new giant Target store. There are also a lot of closures. I drive up the hill and enter the well known EDH Town Center complex and notice what's still there and what isn't. Past the original Town Center buildings is the newer building in which the new Selland's Market Cafe is located. The building has a French Quarter feel with lamps and wrought iron fencing all around. Selland's has a choice spot - the corner with lots of patio space overlooking the man-made lake and fountain. 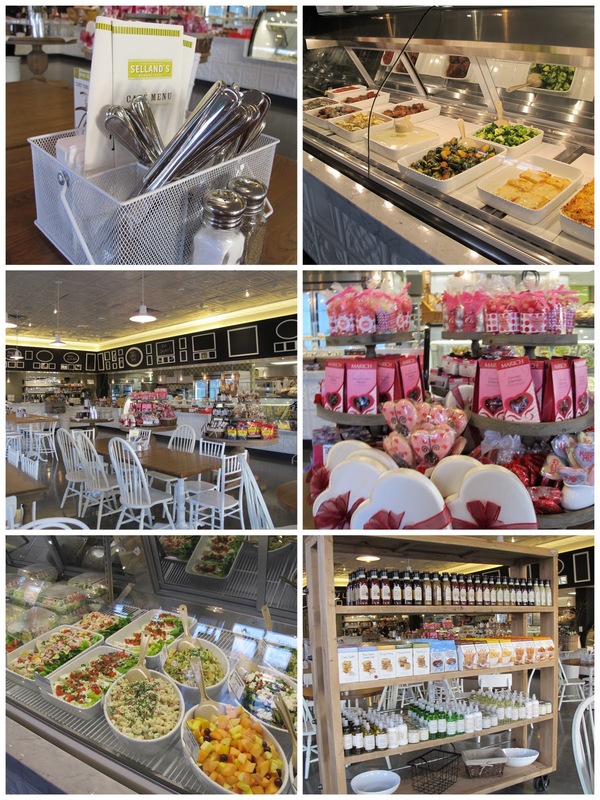 In keeping with the architecture, the interior has a bright and cheerful bistro feel. 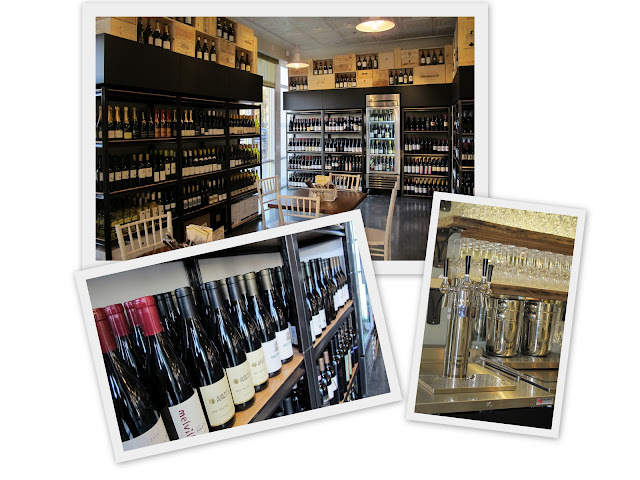 If you love wine, you'll find there are plenty of brands to choose some off to the left of the entrance. I'm sure that this new Selland's will also host the weekly 2 for $25 special which includes entree for two and a bottle of a paired wine. 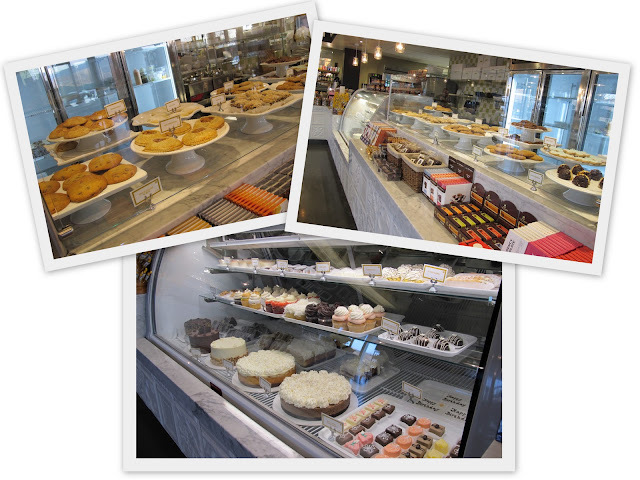 My sweet tooth and eye are drawn to the pastry cases where there are choices from brownies and cookies to cheesecake and panna cotta. You will also see the cold case with all the pre-made salads, some of which are packaged ready-to-go. Nearby is the hot case with delicious looking entrees. The market side of the business is seen in the colorful displays of treats and specialty food items throughout the store. We were given $20 in fake money to dine with as we please. It went quickly. 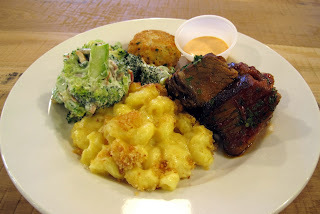 I chose the small servings of my items and came away with the very tender beef brisket, mac n cheese, crab cake, and broccoli salad. My only disappointment was the crab cake. I like mine heated and this one was dense and cold. I think if it had been heated it would have been softer and nicer. (Been told they are supposed to be heated and staff will be reminded. Soft opening learner mistake.) Later I went back and bought a panna cotta for dessert. It was light, smooth, creamy, and not too sweet. Lovely. Some of the guests brought their children as well. It was well suited. You can bring your family, everyone chooses what they want to eat, and you know you are getting quality food made with the best ingredients. Randall Selland also made the rounds talking to guests and serving a few from behind the counter. I even caught him in the back prep area apparently tailoring a special salad for someone. Selland mentioned that he knew he wanted to open another place, it was just a matter of the right location. This El Dorado Hills spot is perfect for their brand. The location is prime, lovely, and a perfect fit. This is one business I know I will be able to find there for years to come.